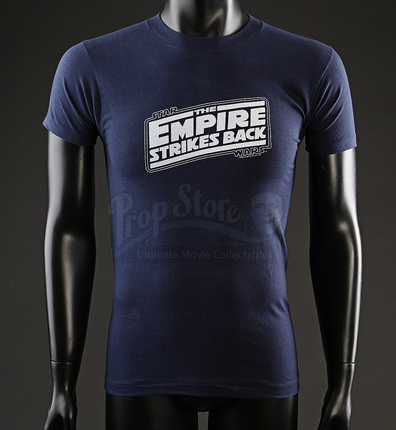 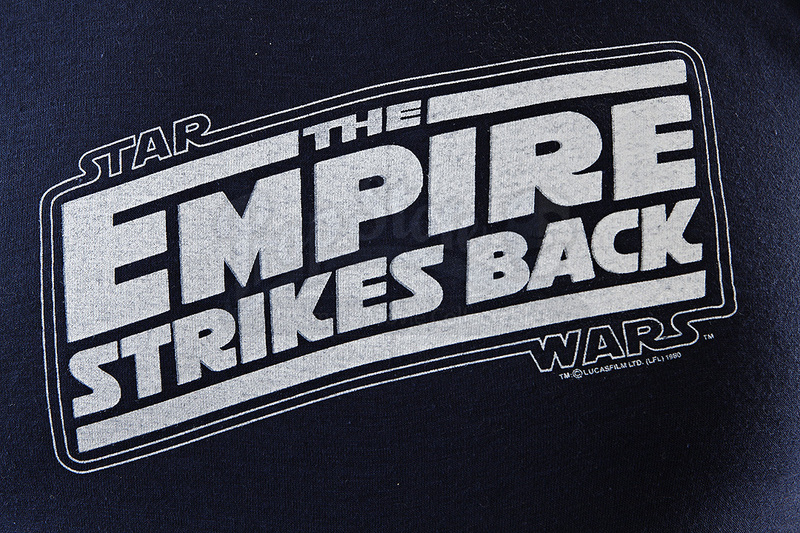 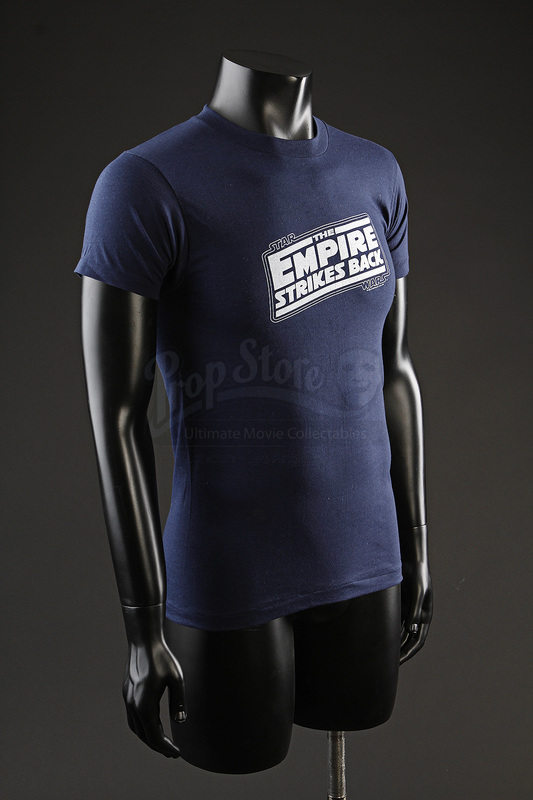 A Crew T-Shirt from Irvin Kershner's 1980 entry in the Star Wars saga, The Empire Strikes Back. 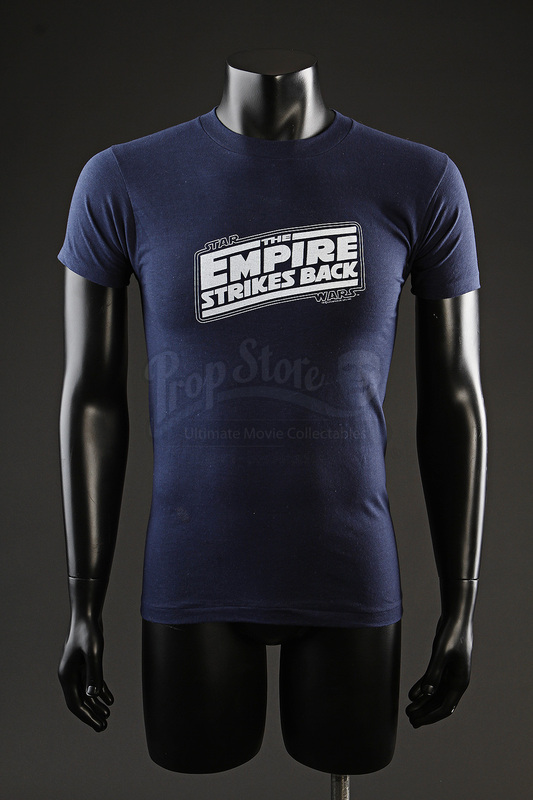 Issued to the crew working on the film, this shirt is made from a cotton/polyester blend and features the classic title logo silk screened in grey across the chest. 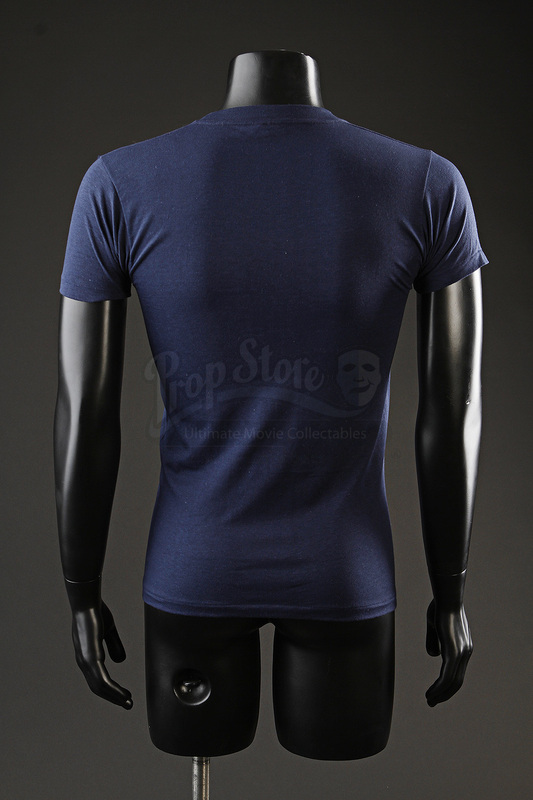 The manufacturer tag notes the shirt as being an adult size medium (M). 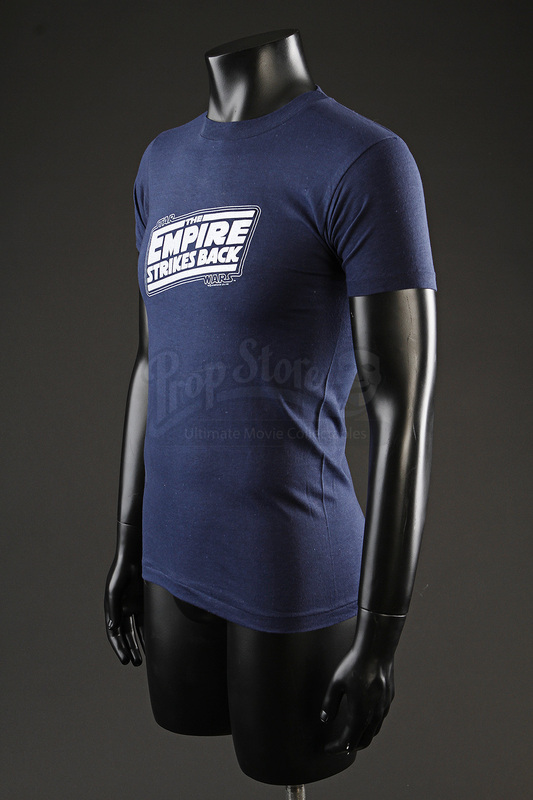 Although the shirt shows minor signs of wear due to production use and age, however it remains in overall good worn condition.